How to Successfully Reduce the Possibility of ( SIDS ) Sudden Infant Death Syndrome Occurring. There are many ways that you, as a parent, can successfully reduce the possibility of SIDS occurring. Many may refer to it as “Crib Death”. This situation occurs when a parent or other adult places an infant in a crib or other appropriate location in order to allow them to nap. When this individual checks on the infant later, they find that it has passed away naturally. It is considered to be a situation that occurs rarely, yet at the same time, it is identified as the most “common” cause of death in infants up to one year of age. The most common ages in which death occurs starts at the point in which the child turns two months old up until the child turns four months old. In this guide, I will share some steps on how to successfully reduce the possibility of Sudden Infant Death Syndrome occurring. There are many causes that are said to contribute to Sudden Infant Death Syndrome. 1. Many studies indicate that when a mother receives appropriate prenatal care, there is less of a possibility that their child may become the next victim to this devastating condition. It is important to ensure that you indulge in a diet that is high in nutritional value, avoid first and second hand smoke, and alcohol. Malnutrition during pregnancy, being a smoker, being around smokers, and drinking alcohol can result in a low birth weight. Children who are born at a lower rate than is considered to be average are more likely to meet a tragic end as a result of SIDS. However, if you avoid these substances and ensure you are eating the proper foods, you can successfully reduce the possibility of Sudden Infant Death Syndrome occurring. 2. In decorating a nursery for your new baby, it is important to ensure that when you set up the crib that baby crib safety is your main priority. This means that you will want to have the proper bedding with a mattress that is relatively firm. 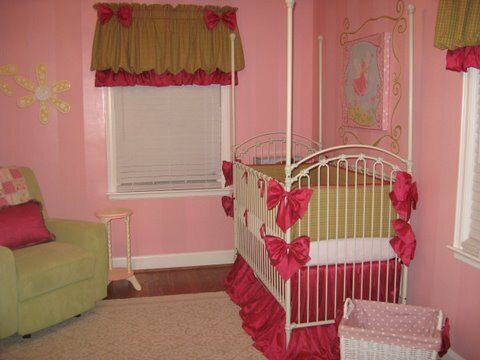 It is important to avoid placing stuffed animals, bumper pads, and other items in the crib that your baby uses. This can hinder the amount of fresh air that the child requires. Use sleepers or baby sacks to help keep the baby warm on cold nights instead of a blanket. However, if the infant is too warm, that can also contribute to SIDS. It is important to find the proper balance. In addition to this, do not place your baby on their stomach to rest – always place them on their back. 3. As a parent, it is essential that the child is not exposed to second hand smoke. Studies that have been conducted on children who have passed away as a direct result of SIDS indicate that high concentrations of nicotine are found and could be a direct result of second hand smoke. 4. Some studies have shown that pacifiers help reduce the occurrence of Sudden Infant Death Syndrome. The pacifier helps keep the air passage open. It also helps keep things away from the infant's mouth and nose. This can help prevent suffocation. 5. Breastfeeding has also been shown to help reduce the risk of child's death, although some experts do not feel it is the breastfeeding itself that reduces the risk of SIDS. However, there are fewer breastfed babies than formula babies who have died of Sudden Infant Death Syndrome. Breastfed babies tend to have a lower rate of respiratory and gastrointestinal infections, both of which can contribute to child's death. The ultimate cause of Sudden Infant Death Syndromeis not specific. However, there are many theories on why this situation may occur. Simply avoid substances that are not good for your body and ensure the proper prenatal care, try breastfeeding, when decorating a nursery ensure baby crib safety, and be sure that your child is not exposed to second hand smoke. By doing this, you are successfully reducing the possibility of SIDS occurring.